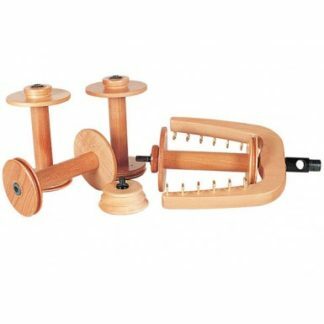 Our manual bobbin winders are belt driven, have self-lubricating bronze bearing, and are available in single-ended and double-ended models. 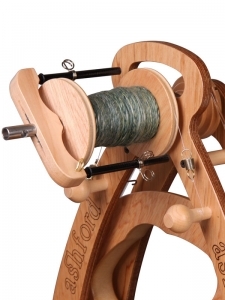 The single-ended winder has a tapered shaft that will accommodate a variety of bobbins up to 6” long. 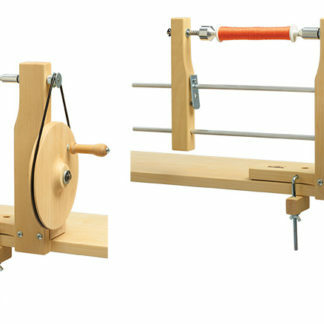 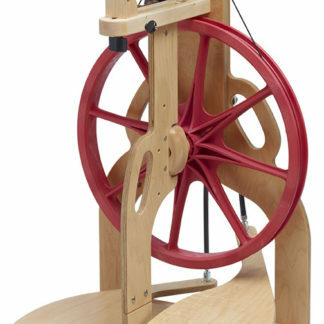 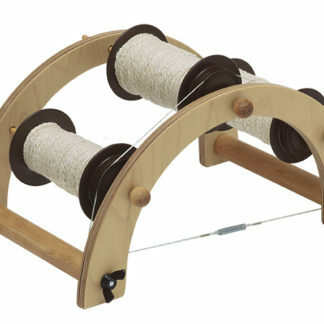 The double-ended winders can be used for bobbins, pirns, and a variety of large-flanged spools up to 9” long. 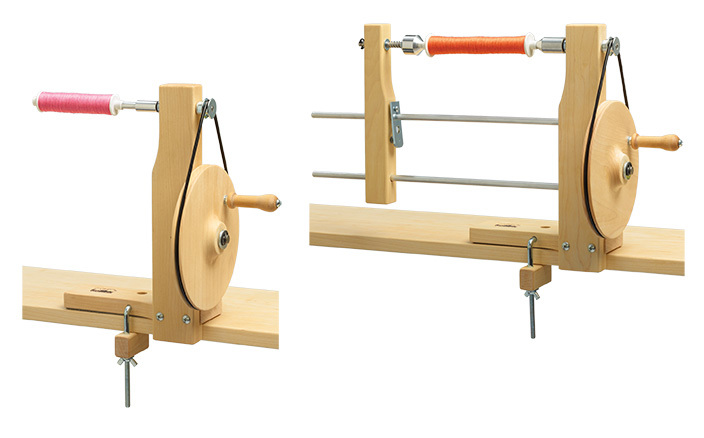 A clamp incorporated into the deisgn of all of our bobbin winders means you’ll never have to hunt around for a “C” clamp again.